Pradeo just published its biannual mobile threat report, based on a sample of 2 millions Android and iOS Applications analyzed by Pradeo’s engine. It gives an insight of the mobile threats currently surrounding us. 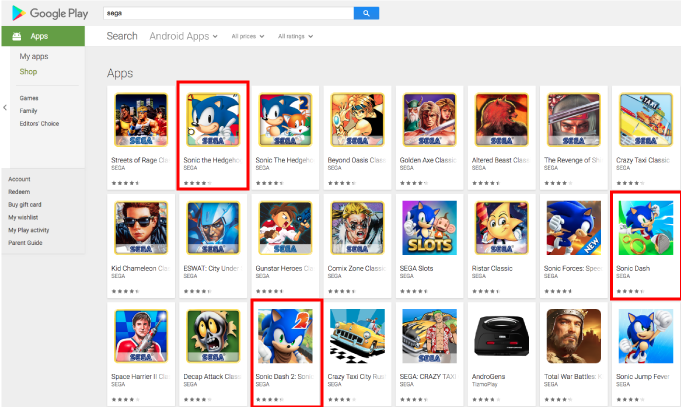 Pradeo’s Lab discovered that some game applications in the Google Play published by SEGA, the famous video games developer and publisher, access and leak users’ geolocation and device data. Hundreds of millions of users are concerned by these data privacy violations. Yesterday, Pradeo’s behavioural analysis engine raised an alert about an application available on the Google Play store called “Dune!”. The app is a game that has been downloaded over 5 million times in the last few weeks and is now part of the “Top Apps” list on the Google Play store.